Primary research shows how harnessing your employees’ respective networks through social advocacy drive greater visibility for the company. Employee advocacy has grown significantly as a strategic business tool in the past few years. According to Golfdale Consulting, recent research found that interest in employee advocacy amongst companies has grown 191% since 2014. 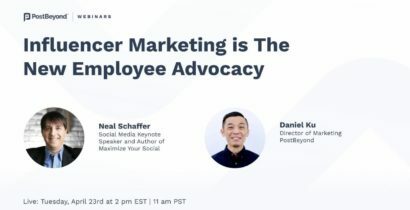 Numerous industries such as Professional Services, Financial Services, and Technology have readily adopted social advocacy in the workplace as an opportunity to engage customers through the authentic voices of their employees. You probably remember the good ol’ days of social media when networks like Twitter and Facebook were mostly for university alumni and celebrity watchers. Most marketing leaders remember those days well. As the market progressed, so have the challenges and opportunities. Once upon a time, marketers were justifying the ROI of social media, but now it has become tables stakes. Still, there are some business leaders whose initial impressions continue forming their perceptions of social media as a business tool. The good news is we’re entering a digitally disruptive environment that’s transforming social media and shifting business perceptions. Business leaders are highly adept at spotting trends affecting their organizations and C-Suite executives are increasingly seeing social media as a key part of their company’s reputation and growth potential. When done strategically and thoughtfully, social media is an opportunity to “harness your tribe” by getting your people onside, organized, and focused as brand advocates for your company. Companies that embrace this opportunity remain ahead and gain a competitive advantage. Especially within crowded industries like technology; leveraging the connections and networks of your employees can be a differentiator. This is evident in Domo and CEO.com’s research which found that 40% of CEOs in Fortune 500 companies have a social media presence. But how does an organization achieve these benefits? The answer lies within leadership. 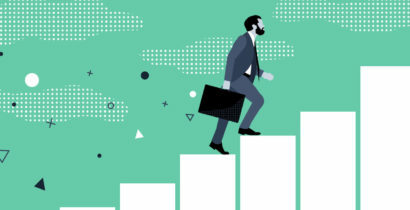 Leadership participation is a critical first step which acts as a rallying cry for their entire organization to get behind. We can’t all be like Mark Zuckerberg, Tim Cook or Marc Benioff but we can certainly take a page from their book. Having leadership set the strategic vision for the brand helps provide employees with a mission to get behind. For leadership, it’s also beneficial for them to model how their employees should interact with social media. 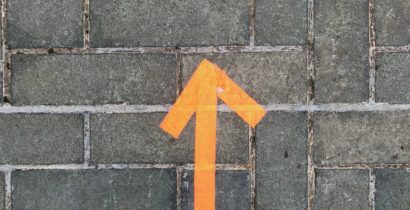 Any organizational change is a cultural disruption. Change can cause uneasiness which is why leadership buy-in and participation is necessary, not just a nice-to-have. More likely to share company achievements rather than personal achievements. It’s all pointing to an untapped opportunity. The time is right for leaders at all levels (C-suite, unit leaders, departmental and team managers) to create a culture where employee advocacy can flourish and the organization can begin engaging its greatest asset – its people – and building a shared sense of purpose. Interested in more in learning more about Golfdale Consulting’s primary research on employee advocacy? Join us for our next webinar on January 25th as we discuss top trends, challenges, and opportunities for 2018: Social Advocacy In The Workplace.